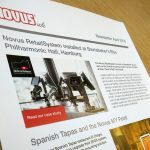 Novus UK are excited to announce a new brochure update is now available for the Novus RetailSystem range. With brand new application photographs as well as some brand new products to add to the range, the brochure is packed with inspiration for creating a smart counter solution. The latest addition to the RetailSystem range is a stylish new tablet holder. The Novus TabletCase and TabletFix was launched by Novus at this year’s ISE Exhibition in Amsterdam and joins the existing family of tablet mounts; the TabletSafe and MyTab. All offer display benefits, whether in an office, home, at point of sale, in a showroom or reception area. The TabletCase offers full functionality of your tablet whilst in its holder, with different models according to your particular tablet model. 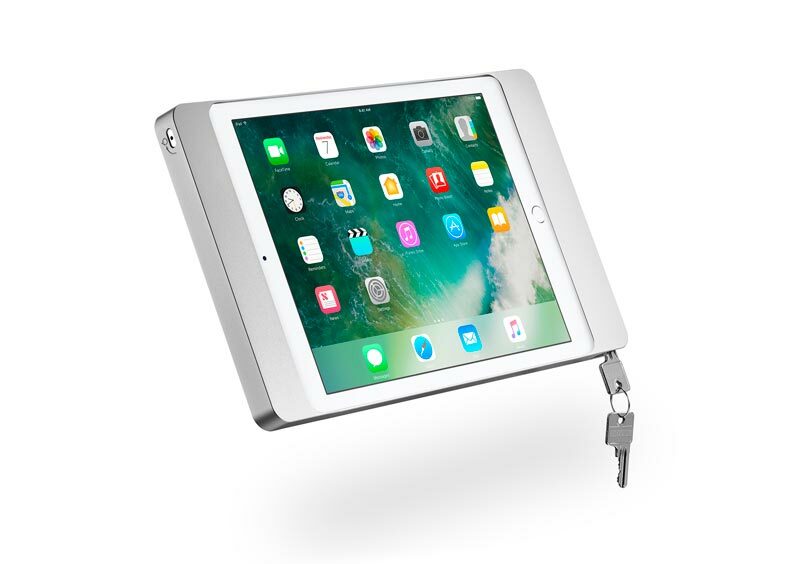 The TabletCase allows for tablet insertion in seconds, whilst theft protection features are provided with an integrated lock, giving peace of mind. It’s design is sleek, stylish and minimal, so perfect for showing off in likewise environments. Added benefits include an exposed home button and camera aperture. The TabletFix offers a simple, cost effective universal solution for mounting tablets made from high quality powder coated metal. This solution will hold between 8” to 10” tablets. Novus UK are now able to offer a more extensive range of connector plates for your EC cash terminals, printers and scanners. It is worth remembering that custom solutions for mounting equipment is also offered by Novus. In addition, a new support arm has been added to the mounting range, offering a reach of 200mm, as well as two versions of support arms for large, heavier monitors, which can be swivelled and a display holder. These latest additions really bring greater flexibility to an already interchangeable range. Find out more by downloading our brochure or get in touch for a printed version.